The committee of Waterford County Museum were recently presented with their award for the Heritage and Environment section for the 2009 County Waterford Community & Voluntary Awards. 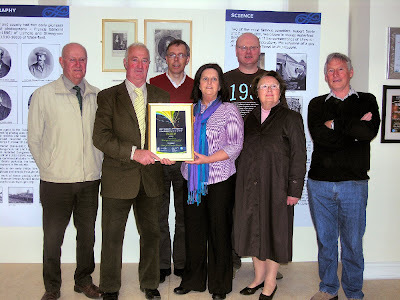 The award was accepted by Helen Moynihan Vice Chairperson from Oliver Coffey, Chairperson of County Community Forum. This annual award is presented to voluntary groups in the County for their valuable contribution to the community. The museum was delighted to accept this award to add to their collection.